This section explains the indoor sporting event of curling rules for beginners. Curling game rules combine the principles and disciplines of bowls with the tactical intrigue of chess. CURLING GAME RULES: The rules of curling are almost as simple and basic as the aim of the game. Many nickname it 'chess on ice'. Take this unique strategy to an indoor ice rink. You create a wonderful winter pastime and the team sport of curling. Learning how to curl in the United Kingdom starts right here. Curlers have used mini-brooms and custom-made stones to play the game since its origin. That first began way back in the 16th century in Scotland. Even so, indoor curling rules were not popularized as a competitive sport in the United Kingdom until a few hundred years later. Most of that took place following the Salt Lake City Winter Olympics in 2002. Curling's rich history and traditions are largely unchanged even in the modern game. Many would say that 'kurling rules' are not the most watched sport on the TV. But, nowadays this international sport gets played in all the top countries. We must thanks the Scots for exporting the fascinating ice game of curling. Beginners will find many reasons to try their hand at the basic rules of curling and join in. Players compete far and wide in countries such as the UK, China, Korea, Canada, New Zealand, and the USA. These basic regulations explain how the rules of curling get played. It may appear to be simple icy game of rocks and brooms. But the objective is a lot more testing and unpredictable than it first seems. Two teams of four individuals (eight players in total) battle against each other. Their aim is to score the most points and win the game. Players earn points by sliding 18 kilogram granite rocks (stones) along a flat sheet of ice. The closer a stone finishes to a bull's-eye target in the center at the far end, the more points a team collects. The pitch is a long, narrow, flat strip of smooth ice measuring close to five meters wide and 45 meters long. At each 'end' there is a circular target called a 'house'. The house is four meters in diameter with a blue outer circle. Inside the house is a white circle measuring almost 2.5 meters diameter. The bull's eye red circle is 1.2 meters across. As a rule of thumb a coin toss decides who curls first. Even so, some Olympic events use the regulatory rule of win-loss records. Each player must release their stone before it crosses the 'hog'. The hog in new age kurling rules is a marker line. Any foul throws should be immediately removed from play. The aim is to slide your 40 pound granite stones down the pitch so that they finish closest to the center of the target. Sweepers influence the path of the rocks by brushing and sweeping the ice ahead of the stone. Note: The speed and curl of the stone gets altered by the sweep technique. The curling stones are usually made of granite and weigh close to 20 kilograms each. As a rule, they are 11 centimeters high and the circumference is 91cm. Each stone has a handle attached at the top often coloured yellow for one team and red for the other. Two sweepers follow the rock as it gets hurled down the ice. They use brooms or brushes to manipulate its final resting place. They achieve this by sweeping the ice ahead of the stone as it slows in pace. Sweepers' brushes are most often made of fiberglass and fabric or sometimes horsehair. But, curling regulations do not generally restrict what material they get made from. Players wear curling shoes - much like traditional indoor court trainers. But, one sole is smooth to ease sliding on the ice. Curler's also wear special trousers and gloves. One important piece of equipment they use is a stopwatch. Using a stopwatch or timing device, they will calculate the pace of the ice and how much sweeping to perform. The four members of a curling team play on an ice rink. The four team positions get named as 'lead' for the first position, 'second' is number two. Lead: According to curling rules the lead throws the first two rocks. He will then sweep the next six rocks of that particular end. Thus, the lead curler should be strong at sweeping and skillful at throwing guards. Second: Positioned as the second team member means you throw the third and the fourth stones of that end. The player nominated at second should be strong at 'takeouts'. The second's role means he will sweep the first two stones and then again on the final four of the end. As you may have already worked out, the second and the lead both sweep together at certain stages of the end. Thus, they should be in sync as paired sweepers. Third: The 3rd gets called third as a rule but also named mate or vice in some curling rules and regulations. The third throws the fifth and sixth rocks of the end. Generally playing at third means you should be good at all shots. But, they will also excel at 'draws' which are shots that swing in from the outside. They also have the responsibility of posting the team's score at the end's conclusion. Skip: The skip is the team captain. He will decide the overriding strategy of the game. The captain will also discuss team tactics with the other players. Skips deliver the final two shots of the end and he should be skillful in the full range of shots. Throwing Rocks: Curling glossary of terminology uses the term 'end'. It refers to an innings and each team player can throw two stones per innings or end. Thus, each team has four players throwing two stones each so the team throws eight rocks each end. A player alternates their turn for throwing with their opposite number. They will play in the same position, but for the other team. Curling Rocks: A curving rotation gets applied on purpose when the rocks get curled down the ice. The stone curls (bends) either one way or another - much like the ball reacts in golf rules or tennis. The amount of bending depends on the player's technique and conditions of the playing surface. Sweeping: When curlers use their sweeping action it often makes a rock go further down the rink and curve less. Thus, it travels straighter and faster. As a rule, sweeping the rocks is the responsibility of the lead, second, and third. The skip rarely sweeps the stones. Keeping Score: Keeping the score in curling rules is quite easy because only one team scores per end. After all 16 stones get thrown in one complete end - called a set - the score gets recorded. One point gets awarded for every rock that is closer than their opponent's to the center bull's eye of the house. No points get scored at all unless at least one stone is inside the house. On the whole a match gets played over eight or 10 sets with the sudden-death end rule played for a tied match. The international rules of curling matches have allotted time limits. They will be 73 minutes per side. They are also allowed two timeouts but they get regulated to one minute for each timeout. In the event of a tie the rules allow 10 minutes playing time and one extra timeout. For the most part, teams can concede if they have no realistic chance of winning. But, some international competitions require a minimum number of ends to get completed by both teams. Note: The spirit of fair play and self-refereeing play a huge role in the game of curling! The rules of curling have no specific age restrictions to join in and play the game. Curling in the United Kingdom is accessible for individuals restricted to a wheelchair. It shares similar benefits to wheelchair basketball rules and quad rugby rules. There are no gender restrictions (male or female) and playing mixed curling is a lot of fun. Learning the rules and regulations of curling is simple if compared to many other sports and pastimes. Curling gets considered by many to be good for your general health and fitness. 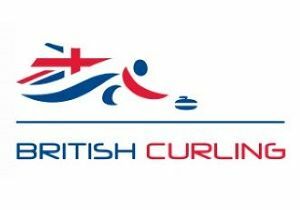 Are you planning to start curling in the United Kingdom? The best reason to become involved in the sport could be that participants share an active and fun-loving viewpoint of the game. Players who curl are usually renowned for having fun and keeping it light. This is evident even at the most competitive national and world championship levels. A to Z Sports Rules: A comprehensive list of popular indoor and outdoor sport categories. Curling Terminology: An extensive list of curling terms and phrases listed from A-Z. Weird Sports Rules: A concise list of weird and wonderful sports games around the world.